Dining at a Thai restaurant is incomplete without a bowl of Tom Yam soup. The warm, spicy and sour flavor is a great appetizer before the main dish. 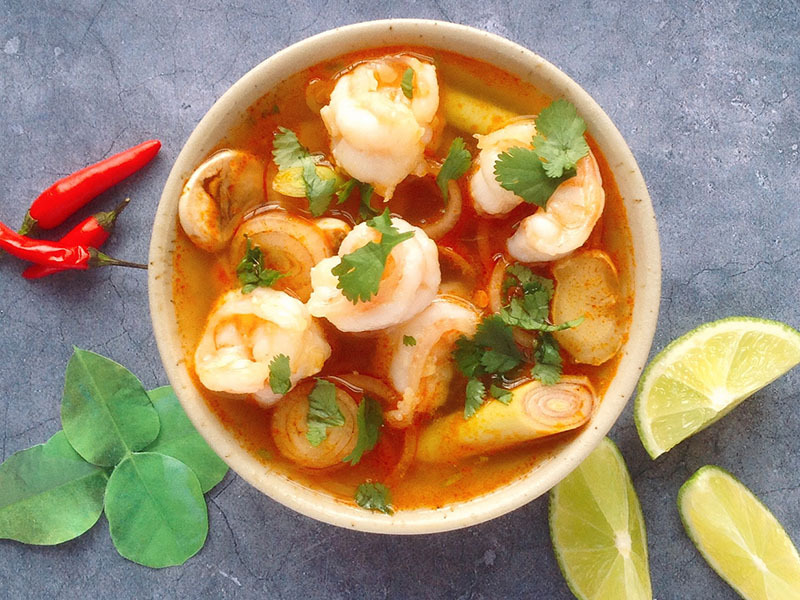 Cooking Thai Tom Yam soup is so simple! 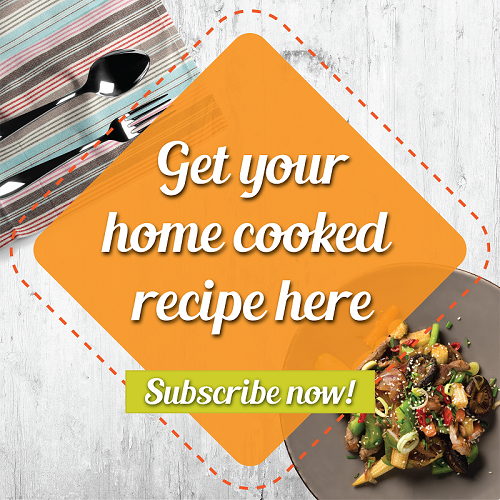 It is also therapeutic to prepare this dish as you are being surrounded by the fragrances of the spices when it's cooking. 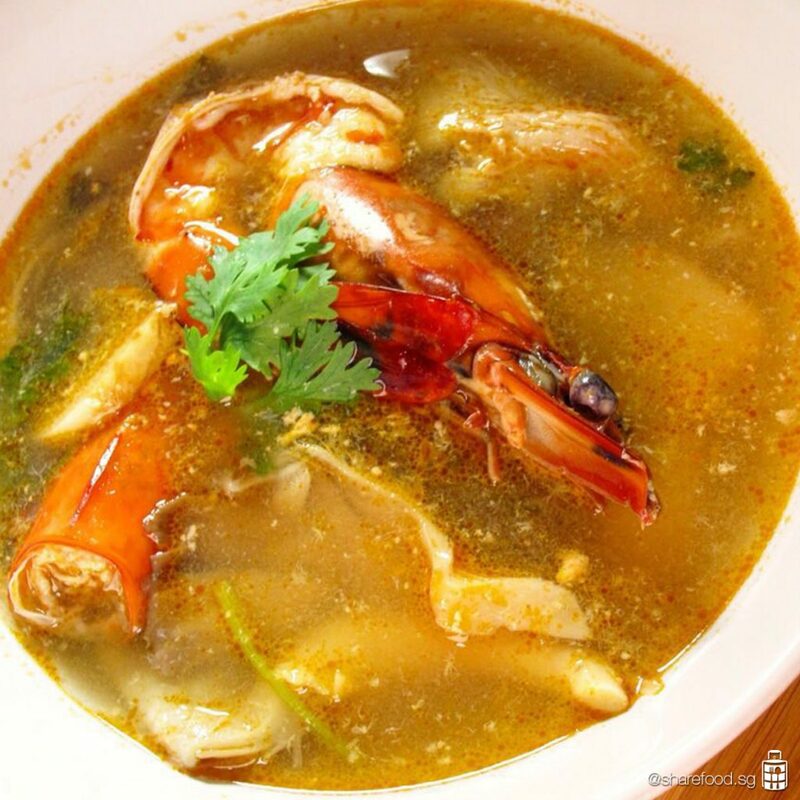 When it's truly Tom Yum, it's truly Thailand! Dining at a Thai restaurant is incomplete without a bowl of Tom Yam soup. 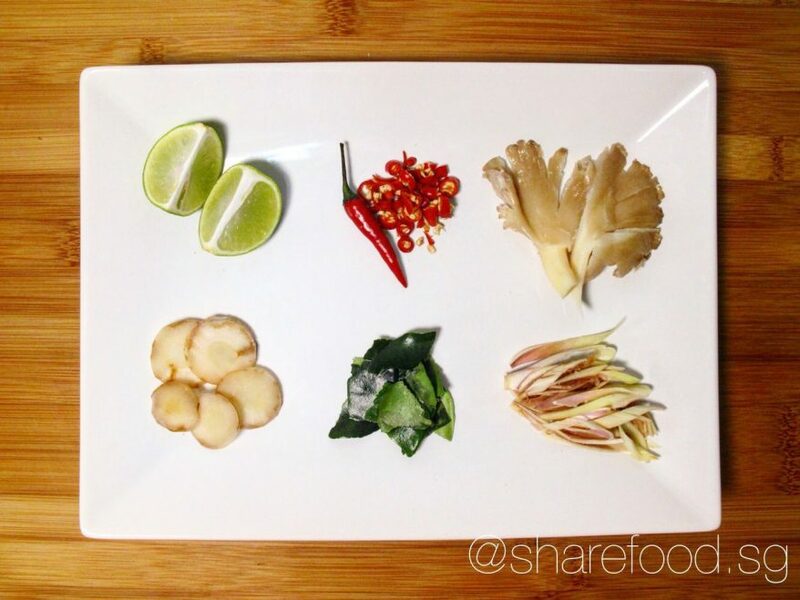 The warm, spicy and sour flavor is a great appetizer before the main dish. Cooking Thai Tom Yam soup is so simple! It is also therapeutic to prepare this dish as you are being surrounded by the fragrances of the spices when it's cooking. Switch off the heat and stir in the cilantro leaves. 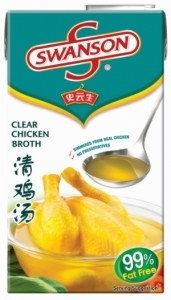 煮好后，随意加入香菜叶. To give a stronger flavour to the soup, dissect the shrimp head into half and add into the soup. 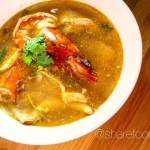 The essence of the prawn head will ooze out during simmering, giving the soup a natural, prawn taste.